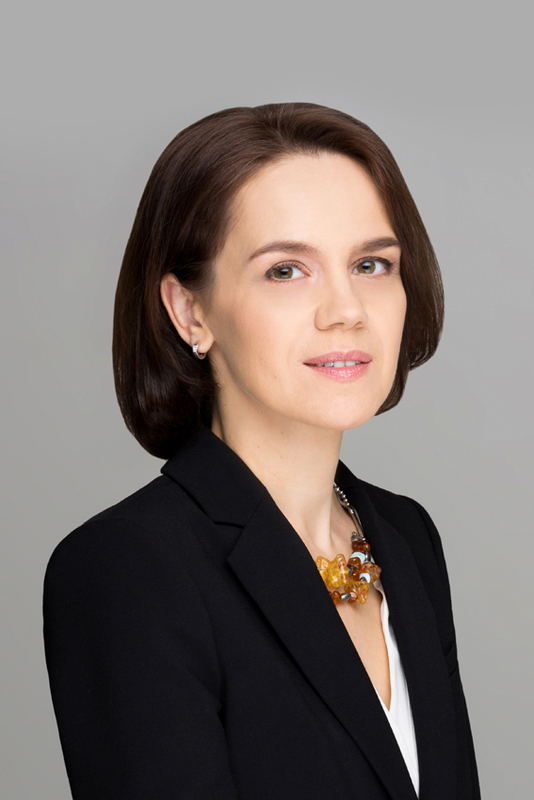 Dr. Galina Zukova’s practice concentrates on international commercial and investment arbitration. She represents clients, private and state entities alike, in cases conducted in accordance with the rules of the ICC, VIAC, DIS, SCC, UNCITRAL and other rules, pursuant to different procedural and substantive laws in a broad range of fields and sectors. She is a listed arbitrator in several international and national arbitration institutions. Galina joined BELOT MALAN & ASSOCIES in November 2016 from a major international (arbitration) law firm in Paris, and prior to that she worked as counsel at the ICC International Court of Arbitration. At the ICC Court she was in charge of the case management team that handled matters involving parties from Central and Eastern Europe, CIS countries, Turkey and Greece. In that role, she oversaw hundreds of arbitrations and scrutinized hundreds of awards. Galina’s previous work experience includes also a leading Baltic law firm, the Latvian Chamber of Commerce and Industry, the European Court of Justice and the Latvian European Integration Bureau, where she was in charge of the legal aspects of Latvia’s admission to the European Union. Galina is a member of the ICC International Court of Arbitration (for Latvia); a Board Member of the Finland Arbitration Institute (FAI); a member of the Arbitration Council of the Georgian International Arbitration Centre (GIAC); a member ICC Commission on Arbitration and ADR, and of its Task Force on Emergency Arbitrator; a chair of the Arbitrators Nominating Committee of the Russian Arbitration Association; a member of the Editorial Board of the ICC Court Bulletin; a member of the Editorial Board of the International Commercial Arbitration Review (Вестник международного коммерческого арбитража) and a member of ArbitralWomen. In the past she has served as a Chair of the European Chapter of the ICC Young Arbitrators Forum (YAF). An Associate Professor at the University of Versailles Saint-Quentin (Paris-Saclay) and the Riga Graduate School of Law, Galina also lectures on international arbitration at the IELPO Masters programme (University of Barcelona). She graduated from the European University Institute (PhD), holds LL.M. from the University of Exeter and a Lawyer’s Diploma from the University of Latvia. Galina is a member of the Latvian and Paris Bars (under the European Directive). Galina is listed in the following specialised rankings: Who’s Who Legal: Arbitration – Future Leaders (2017, 2018 and 2019) and Who’s Who Legal France: Arbitration (2017, 2018, 2019). WWL 2019 ranked her as Number 2 of “Most Highly regarded” future arbitration leaders. They write: “Galina Zukova at Bélot Malan & Associés is “an excellent and experienced lawyer with a particular focus on CIS-related cases”, according to sources. They note, “She has vast experience in and great knowledge of ICC arbitration proceedings.”” In 2018, ArbitralWomen included Galina in its publication “Women Pioneers in Dispute Resolution”. – Co-arbitrator (party-appointed) in a UCCI (Ukrainian Chamber of Commerce and Industry) arbitration seated in Kiev involving a CIS state company and an Eastern European state company related to the transit of gas. – Sole Arbitrator (appointed jointly by the parties) in a UCCI (Ukrainian Chamber of Commerce and Industry) arbitration seated in Kiev involving a major Eastern European company and a Western European company related to a construction project in the agricultural sector. – Sole Arbitrator (appointed jointly by the parties) in an ICC arbitration seated in Paris between a Middle Eastern company and a major Western European company related to a consultancy agreement. – Sole Arbitrator (appointed by the VIAC) in a VIAC arbitration seated in Vienna between two Western European companies over an international contract for the production and supply of goods. – President of the Arbitral Tribunal (appointed jointly by the co-arbitrators) in an ICC arbitration seated in Vienna between a Western company and a CIS state company related to the manufacturing and delivery of goods for the construction of a power plant. – Co-arbitrator (party-appointed) in a SCC arbitration seated in Stockholm between a CIS energy state company and a South European company related to the construction of an energy centre (FIDIC). – Sole Arbitrator in a CAM arbitration seated in Brescia (appointed by the Milan Arbitral Chamber) between a Western European company and a North African company concerning an international sales agreement. – Sole Arbitrator (appointed jointly by the parties) in a VIAC arbitration seated in Vienna (expedited procedure) involving a major Asian company and an Eastern European state company concerning the modernization of a power plant. – Emergency Arbitrator (appointed by the ICC) in an ICC arbitration seated in Paris involving large Asian and Latin American companies over a major infrastructure project related to the construction of a bridge. – Co-arbitrator (party-appointed) in an ICC arbitration seated in Paris between a North African company and a Central African company related to the construction of a tourism complex. – Co-arbitrator (party-appointed) in an ICC arbitration seated in Paris between a Western European company and a CEE state over a major infrastructure project related to the construction of a bridge (FIDIC). – Co-arbitrator (appointed by the ICC) in an ICC investment arbitration seated in Paris between a Cypriot investor and a CIS state entity related to a SPA in the agricultural sector. – Sole Arbitrator (appointed by the ICC) in an ICC arbitration seated in Paris between a Cypriot company and a South Asian company related to an international sale of goods. – President of the Arbitral Tribunal (appointed by the co-arbitrators) in a DIS case seated in Berlin involving a CIS company and a Central European company related to an international sale of goods. “Reforms of Foreign Arbitration Laws” (in original in Russian “Реформа арбитражных законодательств зарубежных стран”)	“Вестник Международного Коммерческого Арбитража” (“Journal of International Commercial Arbitration”), No. 2(4) July-December 2011, pp. 108-114. Together with Inga Kacevska: Chapter on Latvia	“World Arbitration Reporter” (eds. L. Mistelis and L. Shore), JurisPublisher, 2010.